The cheer team walks in the homecoming parade on Sept. 23. What does cheer do? 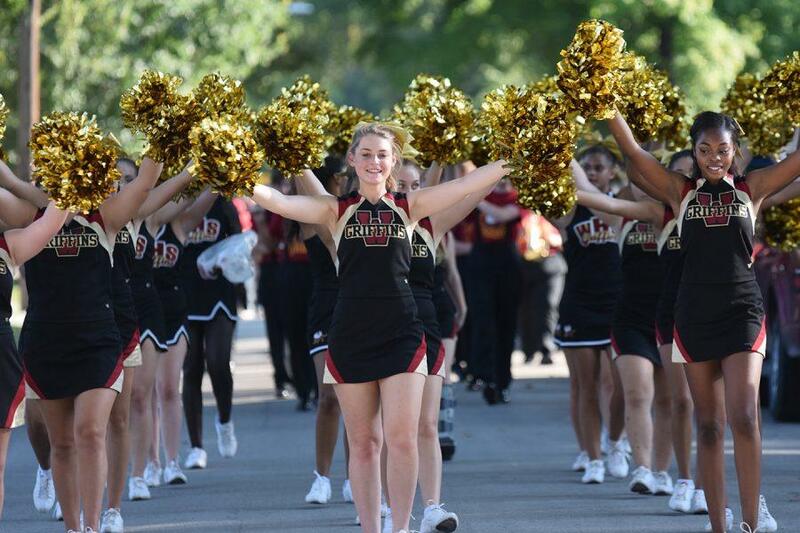 : Cheerleaders attend pep assemblies and athletic games throughout the years to help raise Winnetonka spirit. They learn chants and engage in stunts. When does cheer meet? : Cheer practices vary throughout the year. After tryouts in March, cheerleaders meet i on Mondays and Wednesdays. They meet everyday during most of the summer. Once the new school year starts they meet Mondays, Tuesdays, and Wednesdays until October when they meet on Tuesdays and Wednesdays.